Stingy Jack will now only release for special events – 1-2 times a year in very limited quantities. To kick off Bewitching IV we have decided to drop a very limited edition Stingy Jack based loosely on the famous “sad clown” Pierrot. ***** You can purchase and combine (1) Stingy Jack / Pierrot Edition figure with any combination of Pocket Sideshow chibi packs available at same event for Bewitching IV. ***** This figure will be made available at the BEWITCHING IV exhibition opening reception at Stranger Factory, starting on October 10th. 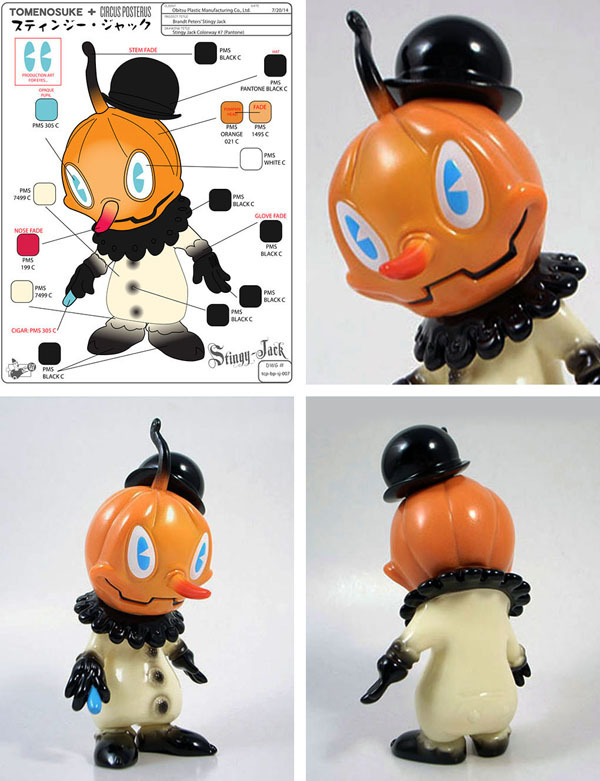 INTERNATIONAL COLLECTORS AND BUYERS: Please visit Tomenosuke.com and their blog for more information on when the Pierrot Edition Stingy Jack will be made available for International buyers online through their website and through their attended events.